It will be free on Thursday, just for one day. This is as a thank you to all my loyal fans over the eighteen months I’ve been self-publishing. If you get in there on Thursday, you get yourself a brand new book for the nothing. I couldn’t do this without people liking my books, so this is a little something back to you. Mark Campbell, historian and author, is desperate to finish his new book on the infamous Highland Clearances when his researcher mysteriously disappears. Abandoning his depressed wife and new baby, Mark rushes to a remote Scottish village to investigate. But when he gets there, all is not what it seems. Who is the attractive landowner, Lady Elizabeth Ruthven, and why is she housebound on a remote loch island? Why are wild dogs hunting him? What really happened to the researcher? Mark’s investigation is soon overwhelmed by a series of unnerving events, plunging him into a nightmare of vampires and devil worship. Can he make it back home to his family in one piece? 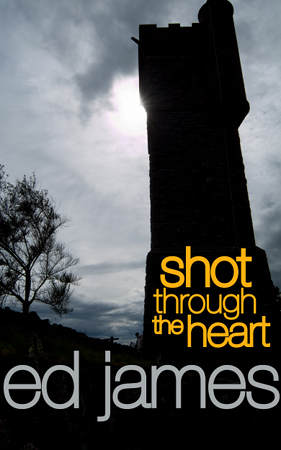 SHOT THROUGH THE HEART is a thrill-ride adventure set in the Scottish Highlands, cleverly weaving the supernatural with history. It will grip you right through to its shocking conclusion. Book one of the SUPERNATURE series.